PrimeNG is a free and open source library of UI components. It is developed by PrimeTek Informatics. PrimeNG provides 80+ UI components in a single library, so there would be no need to add any other library for different UIs. It includes all UI components like Datatable, Breadcrumbs, Input, Accordion, Notification message box, Multimedia, and Menu etc. Make sure that you have Node.js installed. If not, then install the latest version of Node.js by Downloading Node.js from Node.js website. Create a new Angular project. Use the following command to create a new Angular project. Open this project in Visual Studio Code and install required packages for PrimeNG. Open the Terminal by going to View >terminal or by pressing Ctrl + ~. 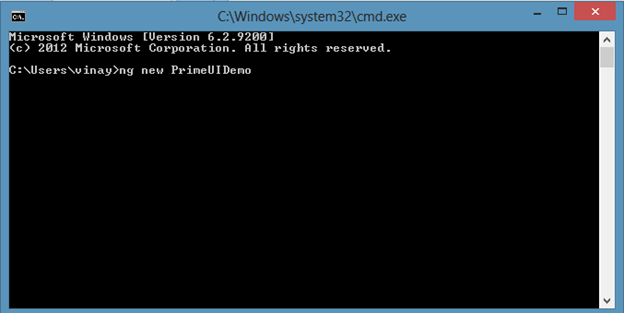 Use the following commands to install PrimeNG packages in the project. Some PrimeNG components use Angular animations to improve the user interface, so we need to install Angular animation. Install the Angular animation module in this project by using the following command. Now, open the package.json file and check if PrimeNG is installed. Configure required styles at the styles section in angular.json file or style.css. Configure PrimeNG module in the app.module.ts file. Let's import the required module in this file. 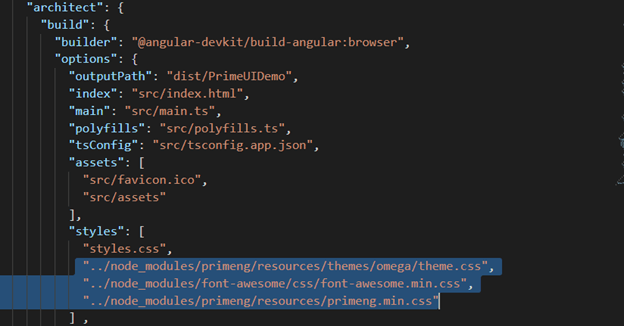 Now, open app.component.html and add PrimeNG accordion, a list. Add the following lines in this file. Open app.component.ts file and add the following code. Click on the country name and check the list of states. In this article, we learned the basics of PrimeNG, a free and open source library of UI components for Angular applications.